Medical negligence refers to a negative consequence of a medical treatment that could have been avoided by the medical practitioner. The Health Professions Act 56 of 1974 outlines South African medical law and it should be consulted by any person who suspects a case of medical negligence. Imagine breaking your leg and requiring surgery for it to heal correctly. After being admitted for surgery, the surgeon guarantees you that it is a routine procedure and that your leg will heal perfectly. However, after the surgery, you have no feeling in your one foot. It is possible that a nerve has been damaged. If the surgeon is the primary cause of this consequence, for example he/she was careless, then it is considered as medical negligence. It is worth noting that a medical practitioner cannot be held responsible for unforeseen complications that arose from unavoidable treatments. If complications arose from unknown sources, even though the practitioner has performed the treatment perfectly, he/she cannot be held responsible. Any complication that arose after a treatment could be a result of negligence. If you suffer from an unusual complication that you suspect arose from medical treatment, it is advised to get a second opinion. If you are certain that the medical practitioner was negligent, you should not wait too long before you consult a medical malpractice lawyer, because your case can weaken over time; witnesses may forget what happened and documents can go missing. How Is It decided who was negligent? If you believe that you have suffered because of negligence by a medical practitioner, you have the right to lay a claim in court against him/her. A Judge will hear arguments from both legal representations and then decide whether or not negligence has occurred. Usually other medical practitioners are consulted to provide their expert testimony for both cases. The Judge must evaluate all the evidence and then pass judgment on the claim. In South Africa, the Judge must decide first whether or not the medical practitioner is liable, and then to what extent the patient must be compensated. In extreme instances, a medical negligence case can turn into a criminal case if it is proved that the medical practitioner is guilty of criminal conduct. Sometimes the medical practitioner may be completely accountable, for example he/she could have performed the medical procedure incorrectly out of ignorance. It could also be decided that the company is completely responsible, because it did not provide the adequate equipment for the procedure. A Judge may decide that both parties are guilty of negligence and then hold them equally or partially responsible. If you are no longer in need of medical attention, the first person you should get in touch with is your legal adviser. Then it is necessary to inform the Health Professions Council of South Africa to lodge a complaint. Your legal adviser will request all your medical records to review the evidence so he/she can send a letter of demand to the medical practitioner. The response to this letter will determine whether or not the matter will go to trial; the practitioner may decide to rather settle the matter out of court and to meet the demands. If the matter does go to court, you may be required to testify. If your claim is successful, the Judge may grant you compensation in an amount that is equal to what he/she considers fair; this may include the legal costs, loss of income and any other cost you incurred. Claimhelp.co.za. (2017). 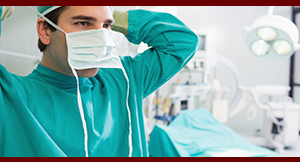 Medical Negligence Claims – South Africa | Medical Negligence in SA | Claim Help. [online] Available at: https://www.claimhelp.co.za/medical-negligence/ [Accessed 22 Jun. 2017]. This entry was posted in Medical law and tagged Health, Medical, Negligence on August 17, 2017 by Toksentjops. Can someone record me without my permission? Over the past few months, we have seen videos being posted on social media of physical altercations, poor service delivery and racial slurs, but the victims of the videos and audible recordings are usually unaware that they are being recorded. The recordings are conducted without their permission and then shared. But is someone allowed to record you without being granted permission and the share those recordings? The recording is in connection with the carrying on of business. This is the recording of a person with whom you are having a face-to-face conversation. The video taping of someone without their consent is permissible because you are party to the conversation, much like audio recordings. Recording an altercation between you and someone else, or recording an altercation at an airport is legal due to where the conversation is occurring – a public place. Section 4 of the Regulation of Interception of Communications and Provision of Communication-Related Information Act 70 of 2002 (RICA) defines that a person is party to the conversation if they are in audible presence of the conversation. If you are in an altercation in a vicinity where other people can hear you, they are permitted to film because they are party to the altercation, therefore in direct communication with you. Indirect communication is a much wider category, which includes data, speech and moving images. Skype conversations, although they appear to be face-to-face, are included as indirect communication because it is communication through an online telecommunications service. Thus, you would need to either be one of the parties in the engagement, or have been given consent from one of the parties to record the video/messages. When you are in no way party to the conversation. Being party to the conversation is if you are the sender, the recipient, or any person included in the communication. Exception: RICA permits recordings carried out by law enforcement personnel in certain circumstances. Kevin Illes, A. (2017). 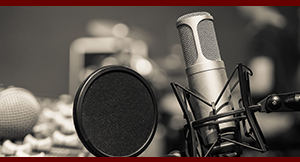 Legal implications of secret recording. [online] Moneyweb. Available at: https://www.moneyweb.co.za/archive/legal-implications-of-secret-recording/ [Accessed 15 Jun. 2017]. Writer, S. and Writer, S. (2017). When you can – and can’t – legally record someone in South Africa. [online] Businesstech.co.za. Available at: https://businesstech.co.za/news/general/167107/__trashed-65/ [Accessed 15 Jun. 2017]. This entry was posted in Defamation and tagged physical altercations, record, videos on August 17, 2017 by Toksentjops. Am I still liable for my spouse’s debt after divorce? A husband and wife buy a house together. Their marriage takes a tumble, along with their ­finances, and they have to sell their home and are left with an outstanding mortgage bond. They subsequently got divorced. The couple is concerned about what will happen to the debts and who will be ­responsible for paying them. Who pays what after divorce? If the couple was married in ­community of property, the debt on the property is a joint debt. They will be jointly and severally liable. This means that each partner is not just liable for half the debt now that they are divorced, in fact the bank can seek the full amount from either of them. The one spouse who is held liable by the bank would then have a claim of 50% of the debt against the other, but it would be his or her responsibility to collect that debt (not the bank’s). Alternatively, the bank may agree to accept 50% from one person and release them from the ­liability, but it does not have to. Sometimes, the divorce settlement makes a special mention of the mortgage. But if there is no clause in the divorce, the joint liability principle applies. After a divorce, the husband and wife should present their bank with a copy of the divorce settlement. This will remove any uncertainty about ownership and liability for bond payments. If you get divorced while you are under debt review and you have the debt review court order in place, then this will need to be rescinded and for new debt counselling applications to be started, as in order to follow on with the debt counselling process you will need to reapply, but will now need to be seen as two single applications. A new budget and new proposals will also have to be drawn up. “Debt And Divorce”. News24. N.p., 2017. Web. 12 June 2017. “Debt Review After A Divorce Settlement – Debt Review”. Debtbusters. N.p., 2017. Web. 13 June 2017. This entry was posted in Debt and tagged divorce, finances, spouse’s debt on August 17, 2017 by Toksentjops. It is important for a child to have access to both parents, and in a situation where both parents were actively involved in the child’s life, the access to both parents should be as equal as possible. As much as you don’t want to pry on your ex’s time with your children, what should you do if your ex’s new partner is abusive towards your child? Section 28(1)(d) of the Constitution of the Republic of South Africa states that every child has the right to be protected from maltreatment, neglect, abuse or degradation. Physical Abuse: This type of abuse is one where the abuser conducts an act which leads to physical bodily harm such as bruises, cuts, burns and fractures. 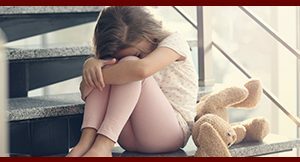 Emotional Abuse: Emotional abuse constitutes domestic violence, and is identified as a pattern of degrading or humiliating conduct towards the child. 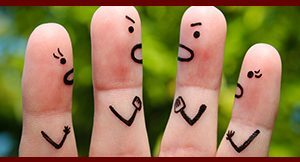 Verbal Abuse: This kind of abuse may be harder to differentiate from emotional abuse; verbal abuse is the act towards the child, and emotional abuse is the result. A parent cannot stop the other parent from having access to a child. Visitation must be in accordance with the parenting plan. The Children’s Act stipulates that the rights of the children are the most important, and their rights should be protected, promoted and respected. The child’s emotional and intellectual needs are considered when making decisions about what is best for the child. Firstly, try to speak to the person whom you have joint custody with, to try to come up with a solution before approaching legal representatives. If this fails, report the suspected abuse. This report will serve in your child’s favour when in court. Apply for the amendment of the parenting plan. This can include limited visitation which should be administered through the Office of the Family Advocate. A person who is acting in the interest of the child. The Children’s Act Explained. (2017). [ebook] p.3. Available at: http://www.justice.gov.za/vg/children/dsd-Children_Act_ExplainedBooklet1_June2009.pdf [Accessed 12 Jun. 2017]. This entry was posted in Children's court and tagged abusive, child, new partner on August 17, 2017 by Toksentjops. The Administration of Estates Act, 1965, determines what must happen with an estate after a person’s death. There are certain steps that should be taken to ensure the process is legal. 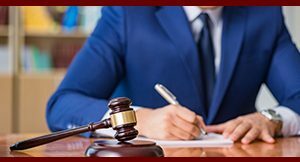 However, if the estate is worth a lot of money or the deceased has children, then it is a good idea to seek the assistance of an attorney, as family disputes and debts of the deceased can be confusing. In order to this an executor will be appointed to act on behalf of the estate. If the deceased person left a will the first thing to do is find it. 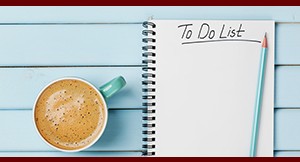 If they did not tell you beforehand where their will was, you can try calling the probate court in their district or the office of the master of the High Court to check if they have a copy of the will. Other places to call would be the deceased’s life insurance company, bank or lawyer. Otherwise, they might have left a copy of it somewhere secure in their home. An executor is the person appointed to handle the process of settling the estate. The executor will either be mentioned in the will of the deceased or appointed by the master of the High Court. The master will ultimately decide who will take the role of executor. If the chosen executor doesn’t know how to handle the estate or is unfamiliar with the legal procedure, he or she can go to a lawyer for help. Once the executor has been chosen, the master will give them “Letters of Executorship”, which will give only them the authority to handle the estate. What does the executor need to do? The executor has several responsibilities such as arranging the valuation of the estate’s property and assets. They will also be responsible for contacting and dealing with all the beneficiaries. Arranging provisional payments for the family’s immediate needs. Opening a bank account for the estate and depositing the estates money in it. Paying all the necessary estate duties. It’s important that any person who wants to act on behalf of the deceased person’s estate have the Letters of Executorship. If not, their actions would be considered illegal. This also applies to the spouse of the deceased person. This eliminates the possibility of several different family members trying to influence the estate’s dealings. The executor will also decide how the assets will be divided between the heirs and if any or all assets need to be sold. If a will is in place the executor will base his/her decisions on it. Eventually, the executor will prepare a liquidation and distribution account. This would include what will they intend to do with all the assets left after expenses. This account would be delivered to the master, who will check to see if the executor’s actions reflect the will of the deceased and that all legal requirements have been fulfilled. Important things to keep in mind? The master of the High Court should be notified of the deceased person’s estate not later than 14 days after the death. According to the Department of Justice a death of anyone who owned property in South Africa must be reported to the master, whether or not they died in the country. The Department of Justice and Constitutional Development. 2012. “Reporting the estate of the deceased”. Accessed from: http://www.justice.gov.za/services/report-estate.html/ on 11/05/2016. Administration of Estates Act 66 of 1965. Accessed from: http://www.justice.gov.za/ on 11/05/2016. This entry was posted in Wills & Trusts and tagged deceased, disputes, relative’s estate on August 16, 2017 by Toksentjops. When a person dies, they leave behind an estate which includes everything they own. 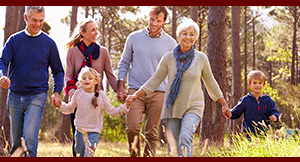 Estate Duty is payable on the estate of every person who dies and whose nett estate is in excess of R3,5 million. It is charged at the rate of 20%. Currently, SARS is responsible for collecting the Estate Duty of a deceased person. How does an estate get reported to SARS? Even if Estate Duty does not apply to you, it is still necessary to inform SARS that the person is deceased. It is recommended that you consult with a legal expert when going through such as process. Death certificate or death notice. Identity document of the deceased. Letters of Executorship (J238) (if applicable). Letter of Authority (J170) (in cases where the estate is less than R250 000). Certified copy of the executor’s identity document. The name, address and contact details of the executor or agent. The last Will and Testament of the deceased. An inventory of the deceased’s assets. The liquidation and distribution accounts (if available). These documents may be sent to the relevant Centralised Processing Centres that is closest to the Master of the High Court where the estate is being administered. How does Estate Duty work in relation to an inheritance? All income received or accrued before the deceased’s death is taxable in the hands of the deceased up until the date of death, and will be administered by the executor or administrator acting as the deceased’s representative taxpayer. After the date of death of a person, a new taxable entity comes into existence – the “estate”. The assets of the deceased will be held by the estate until the liquidation and distribution account has lain for inspection and become final under section 35(12) of the Administration of Estates Act after which the assets will be either handed over to the heirs or delivered to the trustee of a trust estate. This entry was posted in Wills & Trusts and tagged Estate duty, Power of attorney, SARS on August 16, 2017 by Toksentjops. The death of a loved one is a difficult process to go through, and when the inevitable occurs, it is important to remember what happens next. The cause of death is determined under 2 categories: natural death, such as illness or heart attack, and unnatural death, such as a suicide or an accident. If the deceased has passed in their home, and cause of death is suspicious, the family is required to contact the South African Police Service (SAPS) to conduct an immediate investigation before contacting the mortuary. In the event where death is natural, the family is required to contact medical professionals to determine the nature of the death, and sign certification of the cause of death. A prescribed certificate may be issued by the medical practitioner if the death is ruled as natural, either following a period of illness, or a medical examination. Should it be suspected that the death is unnatural, the certificate may only be issued to the concerned police officer after an investigation where the corpse is no longer required for further examination. An autopsy is not deemed necessary should the death be ruled as natural. An abridged death certificate is issued on the same day of registration, free of charge. Births and Deaths Registration Act 51 of 1992. (2017). [PDF] Cape Town: Government Gazette. Available at: http://www.gov.za/sites/www.gov.za/files/a51_1992.pdf [Accessed 31 Jul. 2017]. Dha.gov.za. (2017). Department of Home Affairs – Death Certificates. [online] Available at: http://www.dha.gov.za/index.php/death-certificates1 [Accessed 31 Jul. 2017]. Grange, H. (2017). What to do when someone dies | IOL. [online] Iol.co.za. Available at: http://www.iol.co.za/the-star/what-to-do-when-someone-dies-1810336 [Accessed 31 Jul. 2017]. This entry was posted in Family law and tagged death, illness, medical examination on August 16, 2017 by Toksentjops. When someone dies they normally have what is called a ‘will’. The people who benefit from this ‘will’ are known as the heirs. Upon someone death, the heirs receive an ‘inheritance’. The person who administers the will of the deceased is called an ‘executor’. South Africa’s inheritance laws apply to every person who owns property in South Africa. The Intestate Succession Act, which governs the devolution of estates for all deceased persons who have property in the Republic and who die without a will. All property located in South Africa is subject to these laws, and there are no separate laws for foreigners. Immoveable property is not treated any differently to other types of moveable assets for inheritance purposes. Inheritance issues of foreigners and South African citizens are primarily dealt with by the Master of the High Court; however, if a dispute arises, then the case can be heard in any High Court of South Africa. Foreigners who acquire immovable property in South Africa through purchase or inheritance must register their transfer of ownership by registering a deed of transfer with the Registrar of Deeds in whose area the property is situated. The process of registering a deed of transfer is carried out by a conveyancer, or specialised lawyer, who acts upon a power of attorney granted by the owner of the property. In South Africa, there is no tax payable by the heirs who get an inheritance. Capital Gains Tax (CGT) is also not payable by the recipient of an inheritance. Estate Duty and CGT, where applicable, are usually payable by the estate. If it is a foreign estate, it will be subject to the taxes of its country of origin. What about donations or gifts? Donations and gifts are treated differently to inheritance. For individuals, donations are subject to a Donations Tax of 20%, with an annual exemption of up to R100,000 of the value of all donations made during the tax year. l Non-residents are not subject to Donations Tax. However, in cases where the resident donor transfers his property to a non-resident (donee), and the resident donor fails to pay the Donations Tax, the non-resident (donee) and the resident (donor) will be jointly and severally liable for the tax. l Donations between spouses are exempt from Donations Tax, as are donations made to certain public benefit organisations. This entry was posted in Wills & Trusts and tagged death, inheritance, will on August 16, 2017 by Toksentjops.